Warren Buffett, when asked where he gets his investing ideas, was fond of replying “Start with the A’s.” This may seem like unhelpful advice now that so much data requires clicking around and waiting for webpages to load, instead of wading through nice archaic books. However, the Value Line Investment Survey still publishes data in a multiyear format. This allows one to perform visual scans of financial performance, with more room to identifying trends, results, and ratios that are in the “neighborhoodof acceptable for investment purposes with more flexibility and “fuzziness” than could be accomplished by a database query. Although I do tend to start with the Z’s so I can get to them before Buffett does. Yes, Value Line is generally a useful resource while screening for investments to analyze, but it cannot replace the importance of the analysis itself, particularly if the reported figures must be significantly adjusted. Value Line is partly a statistical service and partly an analyst firm, so they make adjustments to enhance comparability and clear out some confounding outcomes mandated by accounting rules. In most cases this adjustment has its intended effect, but sometimes, when dealing with companies that have substantial equity compensation, mergers, events generally viewed as nonrecurring, and other controversial matters, the effects of their adjustments can be large and distortionate. For example, Cypress Semiconductor (CY) makes a wide array of memory products used in telecom and data communications equipment and the Internet of things. 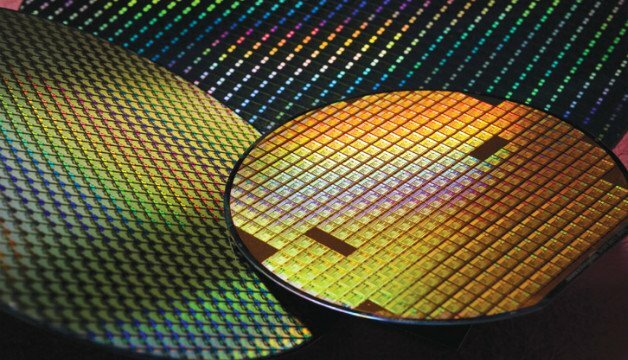 I should point out that I’m not an expert in the semiconductor industry, but it seems to be characterized by intense competition for price and margins and a great deal of merger activity. Cypress has indeed undertaken two mergers in the past year for a combined purchase price of over $2 billion for a company that has a current market cap of $4.66 billion as of this writing. Dealing with mergers is an endless pain for analysts. Particularly when the mergers are large, sales and margins become incomparable to historical figures and even the capital structure of the company is significantly altered. In Cypress’s case, sales went from $725 million two years ago to $1.92 billion last year. Analysis is further complicated by the fact that companies may acquire other companies as a substitute for capital expenditures, which makes depreciation rates somewhat unreliable. This is a particular problem for the amount of the purchase price that represents goodwill, which does not amortize but instead is tested for impairment. The effect is to make both depreciation and capital expenditures seem much less smooth and difficult to rely on for projections. More than that, though, mergers are expensive both in investment banking and legal fees and in the inevitable restructuring that follows, and we analysts have to determine how to handle those costs. On the one hand, most companies are not in the business of selling products, not merging, so it would only be fair to treat these expenses, substantial though they are, as nonrecurring for purposes of calculating the firm’s overall earnings power. On the other hand, some companies make such a habit of merging that these expenses come to resemble a regular part of their operations. Other categories of nonrecurring expenses commonly ignored are impairments and writeoffs of goodwill, the latter of which is especially common in frequent acquirers. As I stated before, the Value Line Investment Survey attempts to adjust these nonrecurring expenses, but their adjustments are not documented, at least on an individual basis. As a result, Value Line concludes that Cypress earned 21 cents per share in 2015 and estimated that Cypress would earn 48 cents per share in 2016. The actual figures were losses of $1.25 and $2.15, respectively. Furthermore, using Value Line’s earnings per share, capital expenditures, and depreciation figures to estimate free cash flow, one arrives at an estimate of $264 million in free cash flow in 2015 and a forecast of $360 million in 2016. And since Cypress’s current market cap is $4.66 billion, this represents a free cash flow yield of 7.7%, which appears to me to be high for a semiconductor company and also fairly attractive under modest assumptions about growth. I have performed an estimate of the Cypress’s free cash flow based on the figures in the 10-K in my customary manner. Even giving the company every advantage by treating restructuring, merger-related expenses and inventory writeoffs, and impairments as nonrecurring, I arrived at an estimated free cash flow of $125 million in 2015 and $229 million in 2016, a discrepancy of well over $100 million for each year. Futhermore, diving into Cypress’s 10-K filings, I discovered what I can only describe as a financial shenanigan. In the books I’ve read about financial shenanigans, such as Financial Shenanigans by Schilit & Perler, one thing to watch for is a company trying to juice sales growth by accelerating the recognition of sales. The difference between a shenanigan and a fraud, of course, is that the shenanigan is fully disclosed in a footnote in the boring part of the 10-K. And in Cypress’s case, over the course of 2015 and 2016 the company began to recognize some, and eventually all, shipments to their distributors as sales, rather than their previous policy of recognizing sales upon shipment from the distributor to the end customers. The company justifies this treatment by concluding that, with suitable reserves, sales by distributors were sufficiently reliable to allow this treatment. Whether or not Cypress is correct in this view or not, the effect of adopting this treatment was to increase sales by $40 million in 2015 and $59 million in 2016. A financial shenanigan is mostly harmless to the actual figures once discovered and taken into account, but a company adopting them in the face of two large reported losses should tend to raise one’s level of suspicion about the company’s management and financial reporting overall. Now, from this article one might be left with the impression that I view the Value Line as defective and unreliable. This is not the case; I find Value Line’s figures generally much more reliable, at least as a first approximation, and Value Line’s analyst commentary is generally useful, although I tend to disagree with its timeliness ratings. My point, though, is that investment analysis cannot consist solely of taking numbers from a database and fashioning them into a portfolio. There has to be genuine digging into the financial reports to assess the reliability of the numbers and in the form that an analyst finds most useful. As for Cypress Semiconductor, I cannot say that it is attractive as a value investment because of its not-outsize cash flow yield and heavy reliance on acquisitions. Value Line and other analysts are optimistic about Cypress’s growth prospects and future developments may justify this optimism, but a value investor would find it very dangerous to indulge growth assumptions, because under sufficiently high growth assumptions, no price is too high.